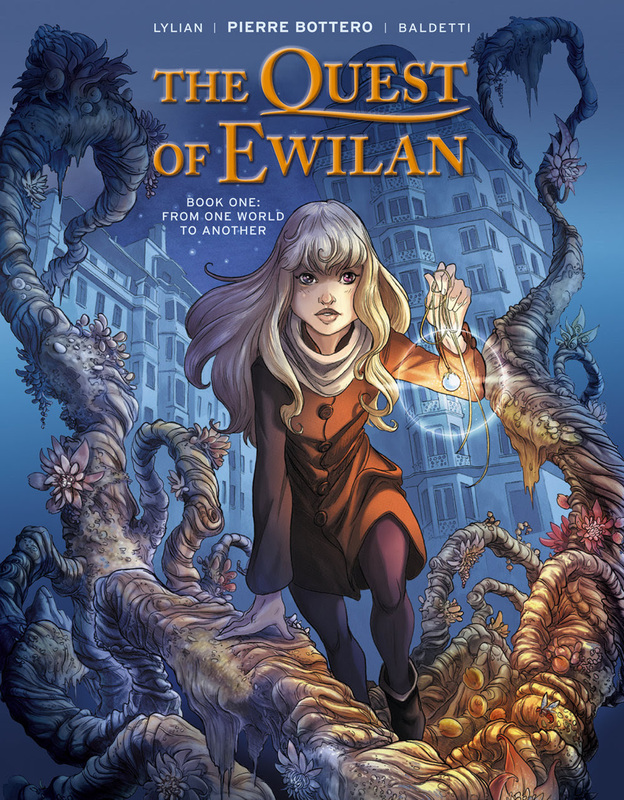 SAN DIEGO, CA (April 17, 2018) — EuroComics proudly presents the English-language debut of The Quest of Ewilan, Vol. 1: From One World to Another, the first chapter in the sequential adaption of Pierre Bottero's bestselling novel series and a whimsical adventure featuring strong female characters, in the tradition of Lewis' Narnia and L'Engle's Time Quartet. Scripted by Lylian and illustrated by Laurence Baldetti, The Quest of Ewilan, Vol. 1 will be available in stores in September. Creator Bios: Pierre Bottero (b. 1964) grew up Provence, France, where he worked as a primary school teacher before turning to writing full time. He's best known for his Gwendalavir series, made up of four complete trilogies and an unfinished fifth. He died in 2009. Laurence Baldetti was born in Nice and studied comics, illustration, and sculpture at the Emile Cohl school in Lyon. The Quest of Ewilan is her first major comics work. She has also created the two-volume Perle Blanche with Sébastien Floc'h.